The construction industry faces many unique challenges due to the massive size and complexity of projects. The amount of risk involved with each and every construction project – from residential to commercial – can have a direct impact on the success or failure of that project. Understanding how to plan and fund a construction project while mitigating the risk that comes with it is an important and imperative part of the construction process. Don’t let major construction risks deliver the knockout blow on your project, and instead, utilize a risk management plan to avoid common project fatalities from the start. Good project management must include good risk management, and DrawAlert is your solution for construction project risk mitigation. The McGraw Hill Construction study “Mitigation of Risk in Construction,” found that schedule changes, budget overruns, the project approvals process, safety, and site conditions were the places with the most significant risks facing the construction industry. At a glance, these construction risks can seem overwhelmingly negative. However, the research findings suggest that much of the risk facing the construction industry are all factors that are under the firm’s control – reinforcing that mitigation strategies can directly have a positive impact. 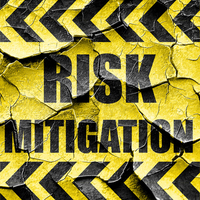 Address Risk Early – risk mitigation happens for the duration of your construction project, but should realistically happen as early as possible to maximize its benefits. Communicate with the Team – having transparency between all parties on a construction project is key to a successful job completion. Quickly changing information can be seen real time and at-a-glance with DrawAlert. Implement a Risk Mitigation Process – a detailed checklist isn’t enough for the complexity involved in today’s construction projects. Extensive assessments and mitigation processes should happen as soon as a project is started. Embed a Risk Management Culture – changing the way an entire industry looks at risk management is a large task; but, by shifting the culture of firms across the industry, risk mitigation becomes second nature and not the mindset of a select few experts. Utilizing the above mitigation strategies helps to effectively complete any commercial construction project. Construction administration software like DrawAlert is especially beneficial to companies with multiple projects happening simultaneously. Choosing a software like DrawAlert helps to make project tasks more manageable and aid in a quicker process, all while mitigating construction risk.